Consumers aren't buying Wal-Mart's new "Save Money. 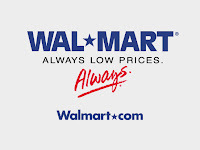 Live Better" ad campaign, according to a survey to be released today by Wal-Mart Watch, which found that only 4% of people believe that Wal-Mart saves the average family $2,500 annually. Not a real surprise and I suspect the number is artificially low, given the source. But still, even if in reality five times as many people believe the claim, that's still 80% who aren't buying it. Add to that the fact that I suspect Ad Age isn't going to be the only publication that picks up on a juicy tidbit like that (4%!!!) along with the tortured mathematical formula for getting there, and you have a great example of The Real Digital Revolution in action once again. Defeating The Armies of "No"